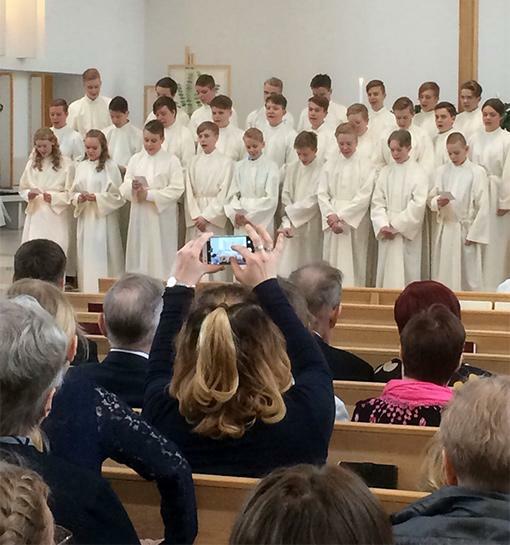 Rippikoulu (confirmation school) is an important stage of life for many a young Finns. 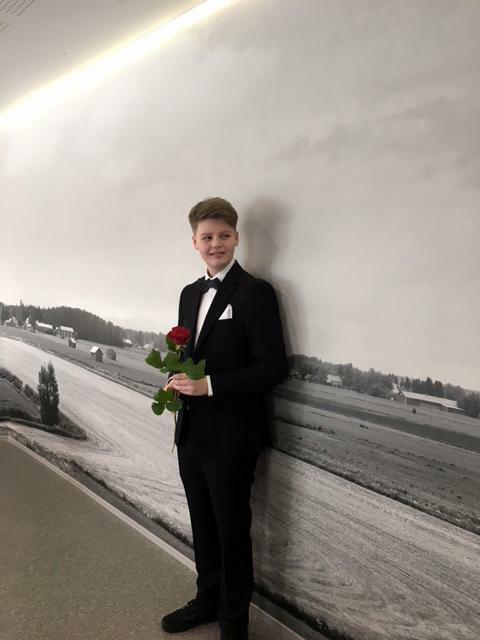 It is a period of religious study and ceremony undertaken during year 8 of school, age 14-15 years old, that culminates in a young adult’s acceptance into the Finnish Lutheran Church. Even if your family is not strictly religious, it is a key stage in developing from a child into an adult. 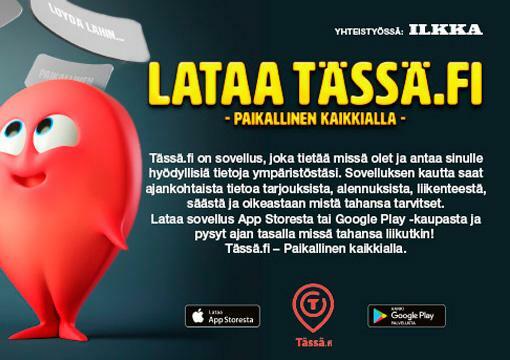 It also enables Finns to get married in church and to become Godparents. This period lasts for several months, and includes sessions of religious instruction and study. 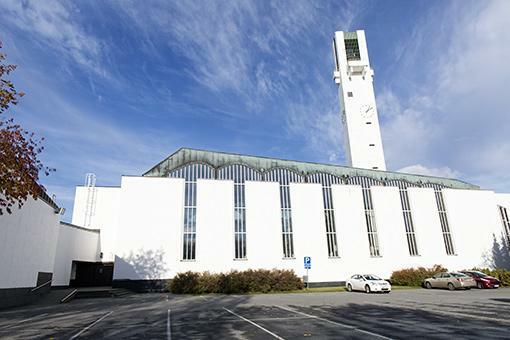 In Seinäjoki, the church runs the Cafe Kismus in the town centre and some of these classes are held in this relaxed environment, while other activities take place in church and school. It’s not all bible-study, however, there’s fun to be had along the way, including a live event with a comedian & a rock band, held at Rytmikorjaamo, and concludes with the rippileiri. The Rippikoululaiset have some choice over when & where they attend rippileiri, some may choose a camp in the archipelago region of Ahvenanmaa, while others may decide to go to a summer camp near a lake or a music camp,. Olli decided a week of skiing was the perfect complement to his intensive bible studies, so during the ski holiday in February, he travelled up to Ruka in Lapland where they did “a lot of skiing and a lot of Jesus-studies”. 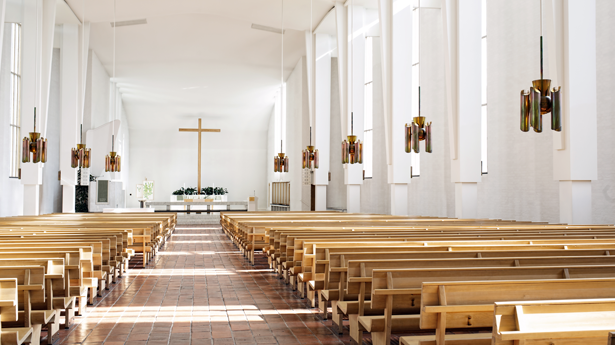 Living in Seinäjoki, we are lucky that Olli’s Rippikirkko was scheduled to take place in Lakeuden risti (Cross of the Plains), the world renowned, modernist church that forms the centrepiece of the Aalto Centre in Seinäjoki. This is always a treat, I enjoy letting my eyes wander while trying (but failing!) 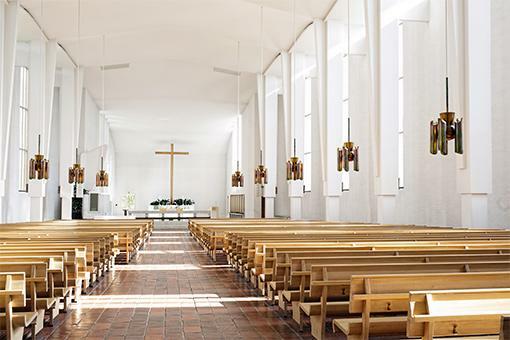 to follow the service, and I look at the details designed by Alvar Aalto back in the 1950’s, such as the intricate ceiling lights and the ornate organ upstairs at the back of the church. 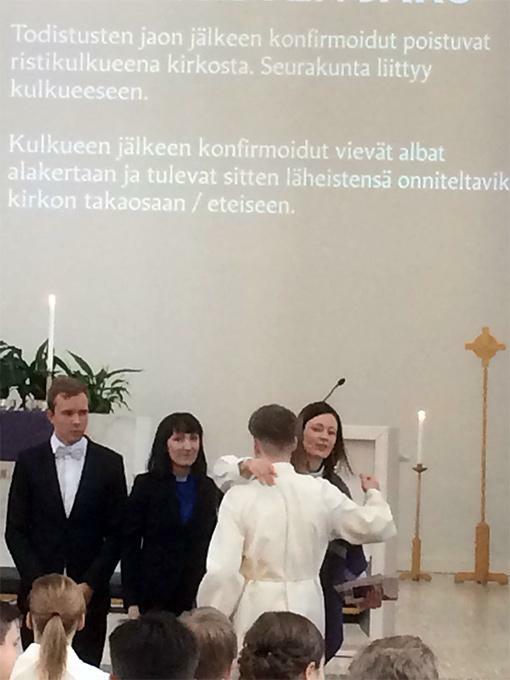 The Rippikoululaiset are dressed in plain, cream-coloured robes and are led into the church by one of their Godparents, who later join the Rippikoululaiset for a blessing in front of the altar. The service is a combination of traditional hymns sung by the congregation, readings of bible texts and a very modern telling of the story of the Prodigal Son – which was accompanied by a projection of YouTube video of the story told using LEGO characters. Yes, really! 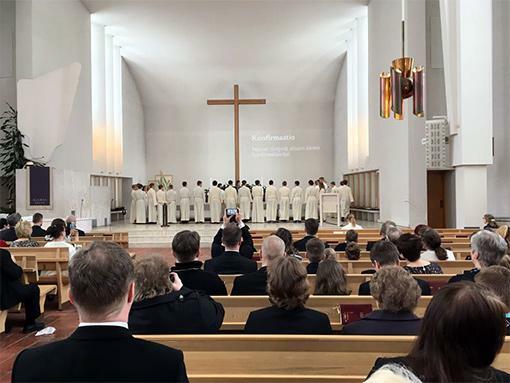 The Rippikoululaiset return to the altar for communion wine and wafer, with all other members of the church then invited to do the same, before being presented to the congregation and being sent back to their families to celebrate with a Finnish-style feast. And what a feast it was. 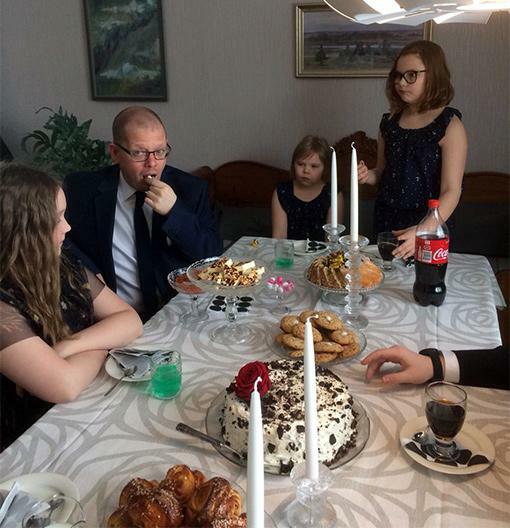 ‘Don’t eat before you go.’ I had my friend’s words ringing in my ears as I left the Church but, knowing the Finnish side of Olli’s family well, I was already prepared for what was to come. 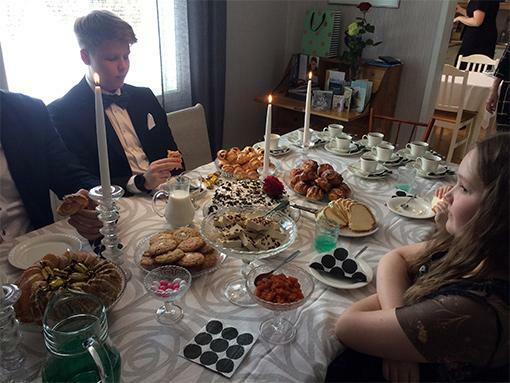 It was a traditional Finnish-family feast: delicious creamy, salmon soup and rye bread, followed by a wide variety of cakes, pastries, buns and biscuits, washed down with a never-ending supply of coffee. I was fit to burst when I was told that ‘the Karjalan piirakat have only just been put into the oven’! The Rippikoululaiset look forward to the party because they are rewarded with gifts. Olli received a watch, a good pen, a trip to Berlin, and money, but also felt a sense that something had changed. Something indefinable, so far, but that he had passed an important milestone in his life.